TODAY the Swedish Minister of Foreign Affairs, Carl Bildt is visiting Gotheburg and Poliforum for an open discussion about the EU and the election to the European Parliament. Unfortunately all the spots in the lecture hall are filled, but don’t worry! 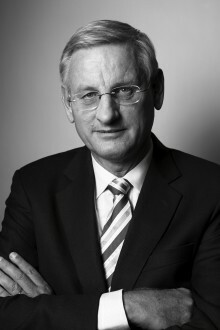 You will have the opportunity to see and listen to Carl Bildt through our live stream. Keep an eye here on our website for a link to the live stream!